November OCH Art Market – Recycled Art! Well we had another great day at the OCH Art Market this month. First, I want to give a huge shout out to our very first volunteer, Heather. She is a current Tulane Law student who took time out of her busy schedule (trust me, I know) to man the booth at the market. She did an amazing job and I could not be more grateful. What do you think of the piece? After the holiday, we will be installing it at the OCH Art Market space permanently, so make sure to check it out at the December market. Also, don’t forget to sign up for our First Painting Class on December 8!!! Many of you may know of the Poetry/Art gig that I run, “take-it-to-the-street-poetry”. I collect, edit & publish poetry zines that are printed off by people around the globe to be given away for free. I love the concept of sharing words with others at no cost to either person. I have found our sister group, the “Art Abandonment” organization. Same premise, make some art and then take it out into your town or wherever and leave it for some unsuspecting person to find. How wonderful is that to happen upon a piece of art and it is yours, for FREE. How wonderful to be the artist freely sharing their art, for FREE. “I think it’s important to be able let one’s art live a life beyond its creator. I love imagining what becomes of my art after it is gone…whether given or sold. Some folks can’t seem to let go of their work…even when they sell it. This is a great way to learn to move on. It’s also a way sharing work with an unsuspecting patron. In this day and age when money is tight, this is a way of encouraging folks to stay involved in the arts. If you are an artist, budding artist or simply someone that’s likes to doodle, I encourage you to get involved with this group and let’s help keep Art alive in our world. Project Create strongly encourages artists from all walks of life to partake in Art Abandonment! What do you think? Project Create Is In A $500 Grant Challenge – Vote For Us!!! Project Create has come quite a far way from being just an idea. We have accumulated over 300 followers, racked up over 3000 views, and held a contest for what can only be described as the Best Logo Ever. But Project Create needs to start doing something very, very, very important: RAISE MONEY!!! Unfortunately, we are not yet accepting donations because we have not achieved our 501(c)(3) status, and donations would not yet be tax deductible (refer to my previous post on how to become a nonprofit). I will say that we have been in deep discussion with an amazing nonprofit that might take us on as a fiscal sponsor (I even flew down to New Orleans and met with their Board of Directors! ), and hopefully achieving 501(c)(3) status will just be around the corner. Until that time, we are doing everything we can to get our name out there and find other fundraising opportunities. One of those opportunities is the GOODMaker Art Everyday Grant. GOOD is offering a $500 grant to an individual or organization with an innovative plan for bringing the visual arts to their community. I think we can all safely agree that Project Create falls into that category. And so, Project Create is one of the many amazing ideas to be listed in the GOODMaker Challenge, but GOOD will only award the $500 (and all of the glory) to the one idea with the greatest amount of votes. So now it is up to YOU to help us win the award!!! What can you do, you ask? First, you can click here to go to our contest page and vote for us! Leave lots of comments too. People like to see comments. Second, you can spread the word BIG TIME to all of your friends and family (Facebook, Twitter, Email, ANYTHING HELPS!). 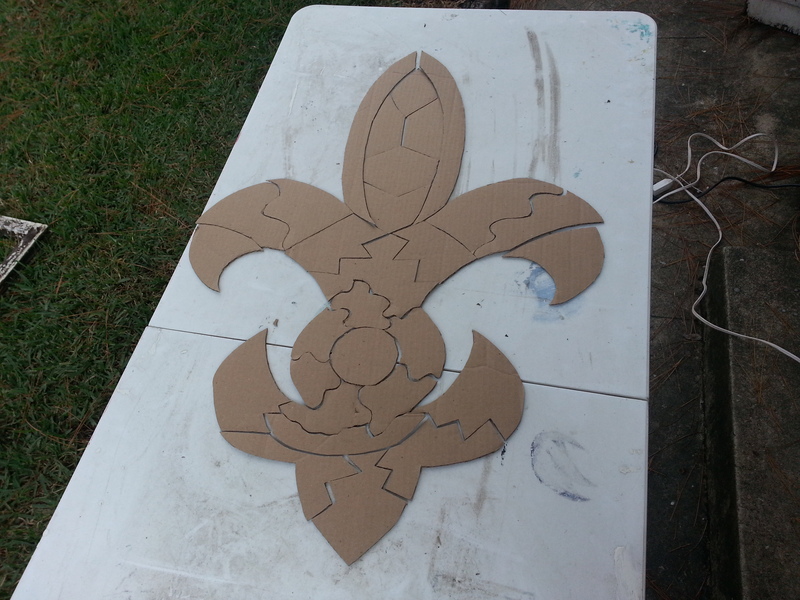 Share our link: http://arteveryday.maker.good.is/projects/projectcreatenola. Make some art (true this won’t help us win the contest, but it will help you be AWESOME). Voting is open from March 22 – 30. Please vote for us! This money, and the recognition, will go a long way in allowing us to opening our doors. Think of the children! Art is good, and everybody knows it. But taking time out to create art during a busy work week can be difficult. Trust me, I can sympathize. I work an average of 50 hours a week and I am currently struggling to find time teach myself how to paper mache a life size model of Dolly Parton. Life goals aside, being creative doesn’t have to be a gigantic task. We can be creative every day with simple actions: doodling, trying a new recipe, sewing on a button, dressing up your dogs in business suits, etc.. The point is, most people don’t realize how easy it is to add a little artistic spice to their daily soup. That’s why I get so excited to see other people make the effort to be more artistic every day. Check out this challenge from Senior Editor Cord Jefferson and Designer Trevor Burke of online magazine GOOD. The challenge is to be creative 31 times in 30 days with simple tasks. What’s amazing is that their 31 challenges are all things you probably want to do anyways (i.e. go to a museum, frame a picture, and even break something!!!!). So I say its time to stand up for yourselves and GET CREATIVE. Do you have what it takes??? Be sure to check off your list and let us know about your successes! We would love to see pictures of your creations. Thanks to my artistic cousin, invadingnola, for sharing this with us! Beni-Fest 2013 – Live Music – Live Art – Live Burlesque – Live Tattooing – Live Auction! 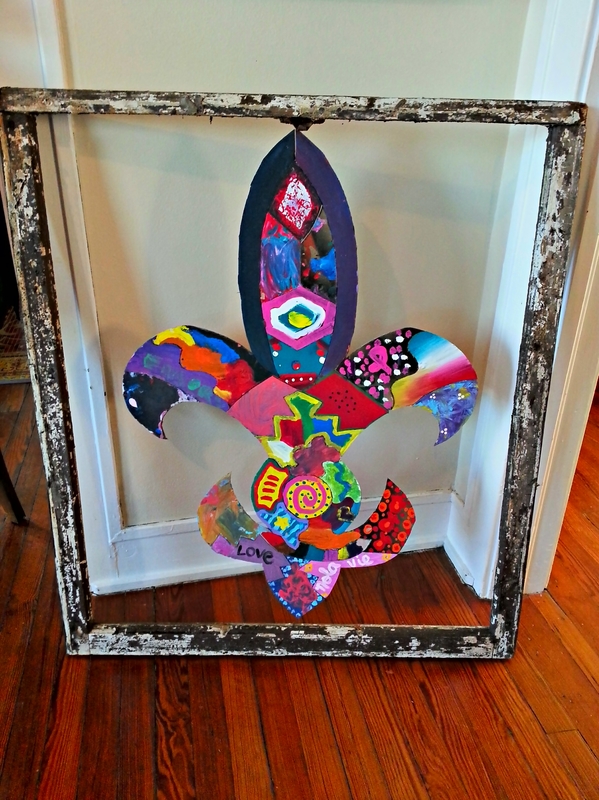 Saturday Activity – Be A Student In Our First Painting Class: New Orleans Style Architecture!! !